The good life or financial freedom? Best Practice Advice & Compliance & Sales & Marketing for Professional ServicesConsider the context! Best Practice Advice & Sales & Marketing for Professional ServicesHow going Low-Tech is best! The Financial Services Council (FSC) has just issued issued a statement summarising some recommendations they were making regarding national retirement savings, following research it had conducted in New Zealand. The link to the full report is at the end of this article. The report is extremely interesting, though missed the mark in a critical area. There is an inherent assumption that if the right product solution is created (as envisaged by the FSC), then that will address the issue. There is a lack of focus on the benefits of changing consumer behavior through good education and advice. The focus of the report therefore is about a consumer attaining financial freedom in their golden years. What about the good life along the way? They face more uncertainty than prior generations when it comes to government support. Some other very significant factors were not cited in the recommendations however. Without attempting to provide an exhaustive list, one should include other factors facing today’s workforce when it comes to retirement planning. Less subsidization of health & education costs than previous generations; leading to greater strain on today’s resources. Prior generations had access to “defined benefit” superannuation schemes which provided great certainty for retirees. Higher standard of living expectations from the children of today’s under 40’s – creating additional financial stress. There is no doubt in my mind that this segment of society (the under 40’s) is the “sandwich generation”. Firmly stuck in the middle of change – not deriving the full benefits that previous generations did of having guaranteed retirement, yet they are expected to fund it for those in retirement now. They are not deriving the full benefit of subsidized education and health, so are having to largely pay their own way – and also fully pay the way for their own children. One could go on, but I am sure you get the key point: they are funding the expected benefits for retiree’s today, together with the wider benefits demanded by society today, together with their own needs today, and also having to make provision for the next generation on a user-pays basis. The Sandwich Generation. They are the filling in the middle, that provides all the flavour and much of the nutrition in the meal. Simply providing a retirement product solution to address the needs of these younger New Zealander’s is not enough. Their needs are much more complex, and quite frankly they have half a century of working life to negotiate before they can realise the benefits of a well constructed retirement plan. While it is important to make provision for the future, and ensure that the final 30 or so years of life are comfortable, dignified and independent (wherever possible), there is the remaining and somewhat important matter of trying to achieve exactly the same objectives in the first 60 years or so of life. 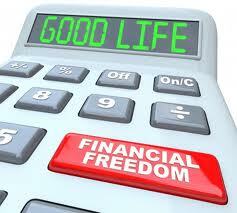 Financial freedom (as an objective) has to be weighed up against having a good life along the way. 1. Better financial education during their adult lives. They need the best possible information, tools, and understanding about how to manage their resources well, and to understand the impact of the choices they must make. It is an investment in efficiency after all – if they are assisted to make better choices, their resources will go further and it will be beneficial for society and themselves. 2. Professional and personalized advice. Their world IS complicated and they face many competing demands. Good advice will help navigate the competing demands, help them decide when and where (in their lives) products may or may not help, and help them get the best out of their resources along the way. During their working lives financial products are a relatively minor part of the overall financial picture. Advice addresses the bigger picture. Products do not. Great products and great savings systems may well provide great retirement incomes. Great advice can help them have a good life along the way as well though. And THAT is what most consumers actually want, and it is the item missing from an otherwise great piece of work by the FSC. Like this? Then share it with others…or visit www.strictlybiz.co.nz for loads more useful and interesting information. © 2012 Tony Vidler. All rights reserved. All materials contained on this web site not otherwise subject to copyright of other parties are subject to the ownership rights of Tony Vidler. Tony Vidler authorises you to make a single copy of the content herein for your own personal, non-commercial, use while visiting the site. You agree that any copy made must include the Tony Vidler copyright notice in full. No other permission is granted to you to print, copy, reproduce, distribute, transmit, upload, download, store, display in public, alter, or modify the content contained on this web site.